« How to automate Spymaster! This is the ad-ancestor (adcestor…) back in 1996 of the famous characters of Mac/PC campaign from Apple that is running successfully for years. This entry was posted on June 5, 2009 at 10:12 am and is filed under Advertising, LADG. You can follow any responses to this entry through the RSS 2.0 feed. You can leave a response, or trackback from your own site. Funny thing about fashion.. is what once was in now looks horrid. The guy on the left looks straight out of Saved By the Bell. Jerry Seinfeld haircut??? Was that ever in? 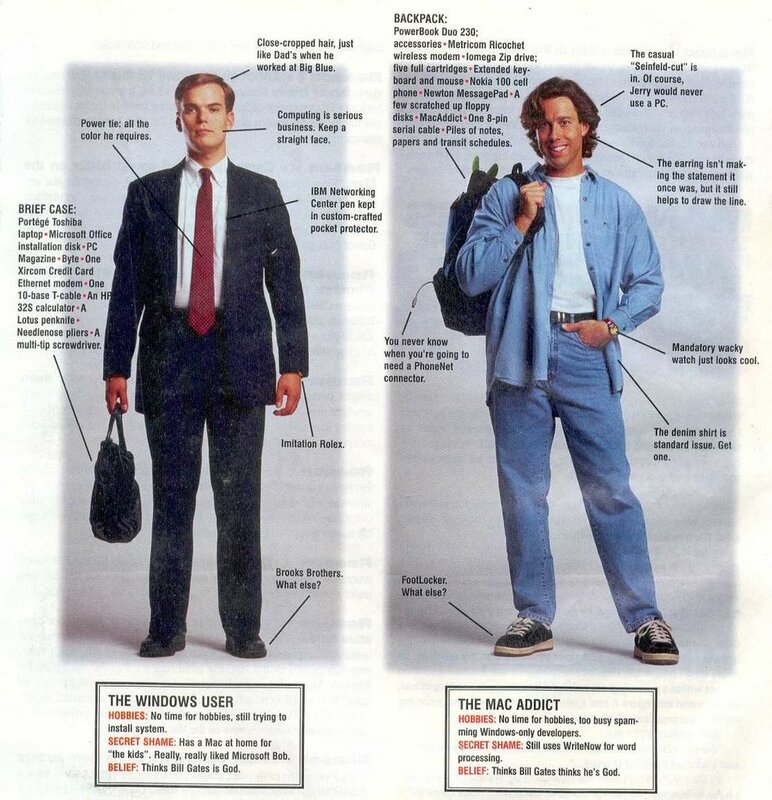 yeah, maybe the mac guy of today will look like a right dufus in couple of years. The accountant geeks always look the same. I love the wacky watch. It’s so true!